MIDDLETOWN, RI. 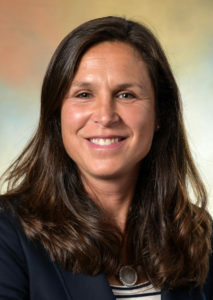 — Southcoast Health announced today that Alexa Raymond, MD, family medicine physician, has joined Southcoast Physicians Group, and will see patients in Middletown, R.I., at 672 Aquidneck Avenue. Dr. Raymond is a graduate of the premedical program at Columbia University in N.Y., and received her medical degree from the Jefferson Medical College of Thomas Jefferson University in Philadelphia, Pa. She interned at Overlook Hospital in Summit, N.J., and completed her residency at the Warren Alpert School of Medicine/Brown University Family Medicine program in Providence. Dr. Raymond is board certified in family practice and is a member of the American Academy of Family Physicians. Her clinical interests include women’s health, children and adolescent health, sports medicine, nutrition and preventive health. She believes in being proactive with health and taking good care of one’s self through exercise and nutrition. Dr. Raymond is currently accepting new patients. Call 401-847-0519 to schedule an appointment.